يحظى فندق كيو تي كانبيرا بمكان متميز في محور كانبرا سياحة, ثقافة, الأعمال في منطقة مركز مدينة كانبيرا الفاتنة. يجذب هذا الفندق ذو 4.5 نجوم، والذي يبعد 1km فقط عن وسط المدينة و 10km عن المطار، الكثير من الزوار سنوياً. كما يمكن الوصول بسهولة إلى ‪Australian Academy of Science‬, ‪Becker House‬, ‪Albert Hall‬. يقدم كيو تي كانبيرا خدمات لا غبار عليها وكل أشكال اللياقة وحسن الضيافة اللازمة لإسعاد ضيوفه. يمكن للنزلاء الاستمتاع بالميزات التالية: واي فاي مجاني في جميع الغرف, مكتب الاستقبال على مدار الساعة, مرافق مخصصة لذوي الاحتياجات الخاصة, تسجيل وصول/خروج سريع, تخزين الأمتعة أثناء إقامتهم في هذا المكان الرائع. يمكن للنزلاء الاختيار من ضمن مجموعة من الغرف المصممة بعناية لتعكس جواً من الراحة، والتي يتجاوز عددها 205. يقدم الفندق خدمات رائعة كمثل حديقة لمساعدتك على الاسترخاء بعد نهار طويل من النشاط والتجوال في المدينة. اكتشف مزيجاً ساحراً من الخدمة الاحترافية والخيارات الواسعة من وسائل الراحة والمتعة في كيو تي كانبيرا. 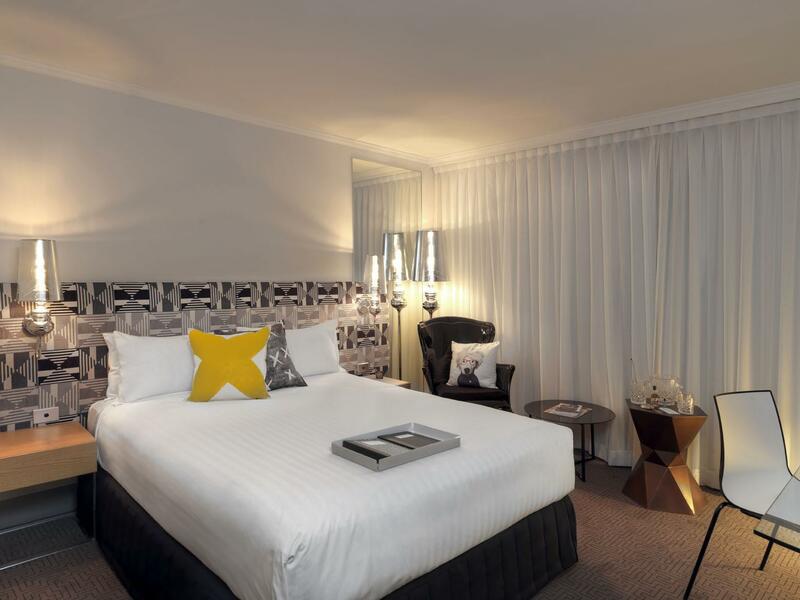 This hotel was a wildcard amongst a number we have been trying out in Canberra over the years. 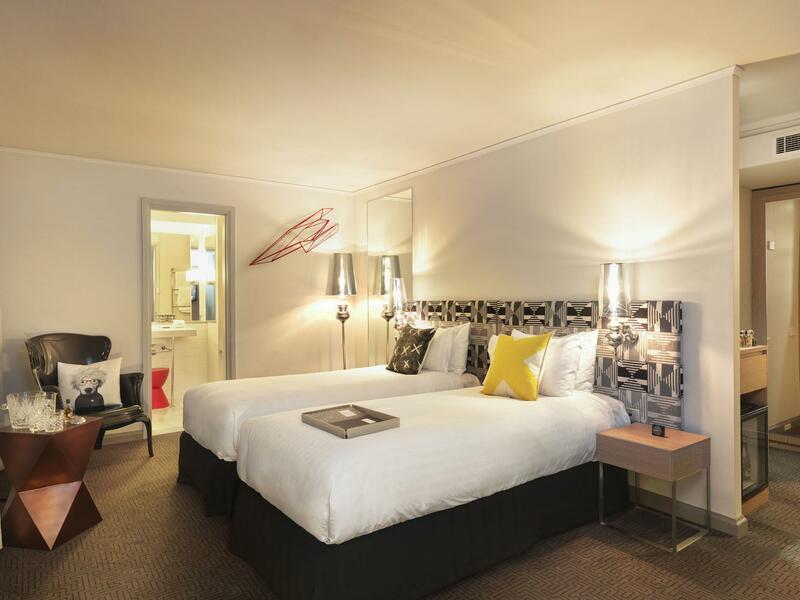 We were pleasantly surprised, as the hotel's review score doesn't reflect what we experienced. The standard room that we had was really lovely, with a really comfortable bed and a fabulous view and balcony. We also had an excellent dinner at the hotel's restaurant. I can only guess that the fact that it has no gym or pool brings down the score. All in as all, we thoroughly enjoyed our stay. I've stayed at QTs all over the country. This one needs to be closed down. Room felt dirty when I walked in and then upon having to close an open balcony door I noticed the balcony hadn't been washed in what appeared to be months. Brown dirt on the tiles. Also, it's like QT tried to make an old outdated building feel new but didn't bother with very noticeable elements like the 70's style golden beer bottle glass seperating room balconies and old outdated use of wood. I always enjoy my stays here. The breakfast was worth paying for. The cleaning was substandard on this occasion. They could also do with more friendly staff who are well informed about the hotel’s loyalty program. Great location if you don't have access to a motor vehicle. Able to walk to City Centre within minutes. Friendly and helpful staff. King size bed was very comfortable with everything you needed in the room. Restaurant had a great vibe with a pre dinner drink and the steak was excellent. 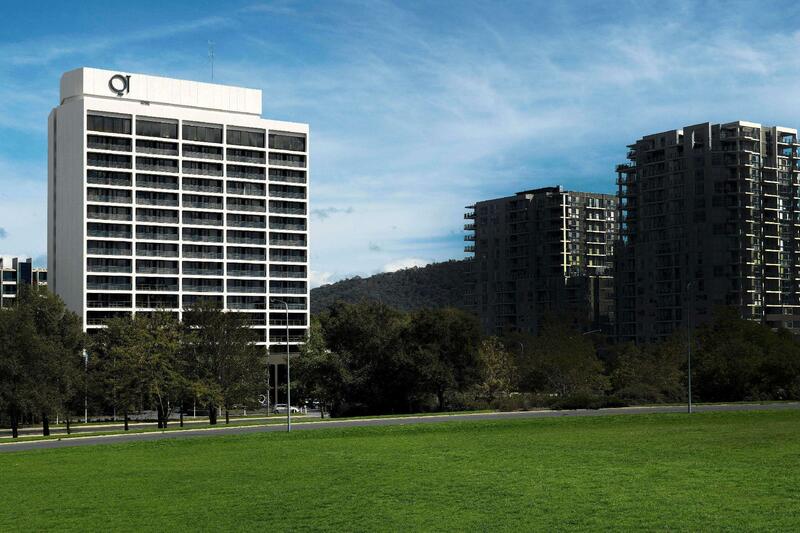 Would recommend anyone staying in Canberra. Our stay at the QT Hotel was a memorable one as we were in Canberra to attend our daughter's convocation. The room was spacious enough for the 3 of us. The beds were comfy and sheets were clean. 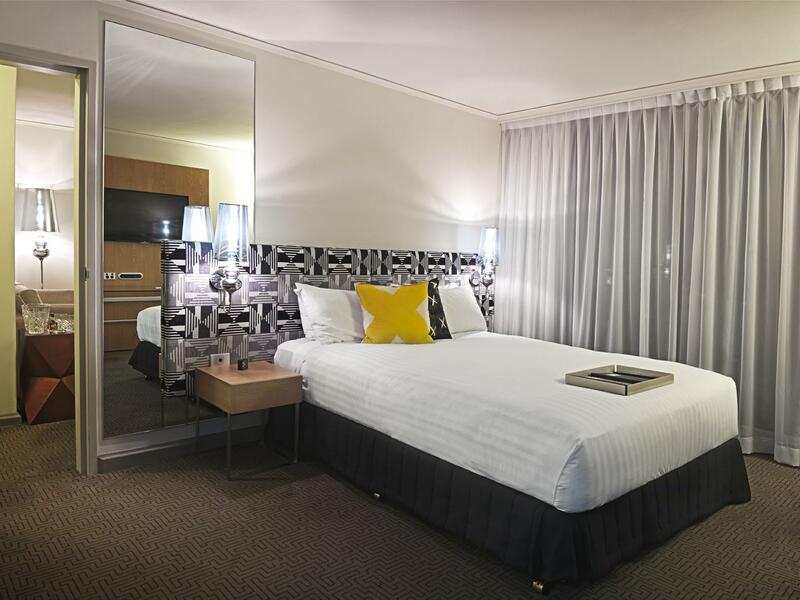 Location of the hotel is within walking distance to the city and there is a free city shuttle bus stop nearby. The view was also a plus and the staff were super efficient. Thumbs up! Within 10 mins walking distance to CBD. Internet speed was good and they do provide in-house movies too. Room lighting was good too if you need to work at night. Their restaurant Steak was good, a must try. The only things I think can improve is the shower water pressure. It is slightly low. Overall, I am happy with my stay. Will come back again. We booked for queen room as we stayed with our baby, however when we got to our room the bed was really small, I dont think it was a queen bed. So I went back to reception and ask if they gave us the queen room as we booked because the bed was so small like king single size. Then receptionist gave us complementary extra bed. It used ti be the old Ridges, now only the outside lokks like it used to be. Intrtesting and fun decor ( with a Canberra theme), amazing breakfast s and lovely dinners. Friendly helpful staff. It's not cheap, but worth every cent. We got an excellent price on a room. We accidentally booked a double room but the staff were quick to advise that his was okay and they would be more than happy to zip the beds together. The room was neat and tidy, with great teas and coffees on offer. We will be back! Everything was very good except for the location of the TV, If you're lying on the bed the TV will be on your left. Also the bathroom, if you're below the shower head, the shower mixer/control will be 4ft away on your left side. It was a nice boutique hotel. The lobby, restaurant and bar looked great. Had higher expectations of the room but it was a bit old. However, it was clean overall n everything worked well. I would stay here again. 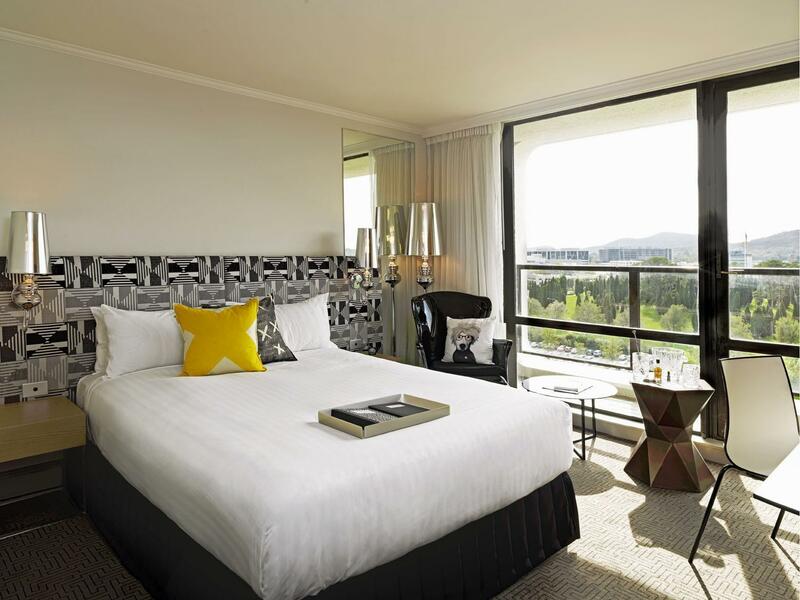 The QT Canberra is an awesome hotel, very quirky, clean and modern. The hotel rooms are excellent. Only complaint was the staff working in the restaurant at breakfast, in particular Pia. Worst service I have ever come across, not a very nice way to start the morning. Most staff look absolutely miserable, and barely even look at you the entire time. Pia did not speak one word to us, but instead when collecting dirty plates from the table, she would tap on the plate instead of asking if we were finished....I was flabergasted. I asked for her name when finishing our breakfast, to be asked what the problem was. I explained that we found her attitude and behaviour very rude, we were greeting with exactly the same the next two mornings. This just really put us in a bad mood for the day. WORST customer service I have ever come across. I loved the hotel, location, facilities, housekeeping staff and reception staff but the breakfast staff in the restaurant let it all down. Overnight stay with 3 young children so the junior suite was just right! The hotel was quite accomadating, delivering an extra roll away bed at no extra charge. In-room movies were free and the junior suite has 2 TVs and 2 bathrooms!! Purposely chose this hotel so we could pop downstairs for a drink after the kids were in bed. The only disappointment was the hotel not honoring priority rewards discount on drinks when it was the front office staff who told me about it upon check-in.